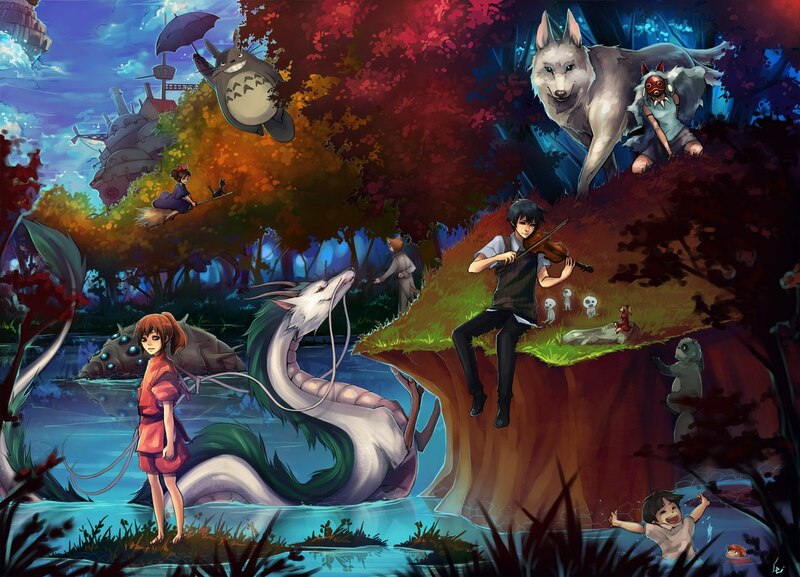 Featuring our picture are works inspired by director Hayao Miyazaki from Studio Gibli. Known for being the master mind behind movies like Spirited Away, Howl’s Moving Castle, My Friend Totoro and Mononoke Hime to name a few he made a big impact on Animators and fans alike in Japan and all over the world. He is part of the Science Fiction and Fantasy Hall of Fame (Follow the link: http://goo.gl/Vs3wyM ) and was even honoured at the Governors Award Ceremony last year (Follow the link: http://goo.gl/1dFj0r ).